On Doctor Who Season 10 Episode 3, Bill and the Doctor try to intervene when revelers begin disappearing beneath the Thames at the Frost Fair. 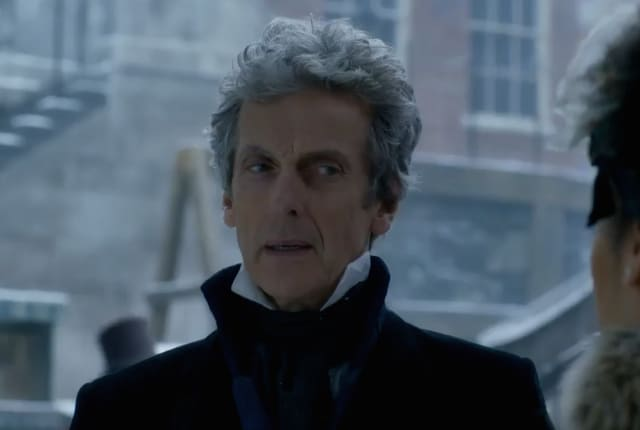 Immediately following their adventure in the future, the Doctor and Bill find themselves in 1814 London during the Frost Fair. Naturally, there's danger afoot, and they soon discover that there's more than just revelry and fun to be had on the frozen Thames when people start getting snatched beneath the ice. The duo realizes that the disappearances are heralded by mysterious lights, and they decide to investigate just what's going on. The danger becomes ever more real when a young street urchin is taken right in front of them, and the Doctor is unable to do anything to save the child. It's up to the Doctor and Bill to discover the truth about what monstrous thing lurks below the frozen Thames before any more unfortunate souls fall victim to it and whatever sinister plot is behind it. Will they discover the truth in time? What is creating the mysterious lights that appear just before a victim is taken? What happens to them after they vanish beneath the ice? And what does it have to do with a man with a ship tattooed on his hand? Find out what happens when you watch Doctor Who Season 10 Episode 3 online! Human progress isn’t measured by industry. It’s measured by the value you place on a life. An unimportant life. A life without privilege. That boy who died on the river, that boy’s value is *your* value. Never underestimate the collective human ability to overlook the inexplicable. Permalink: Never underestimate the collective human ability to overlook the inexplicable.